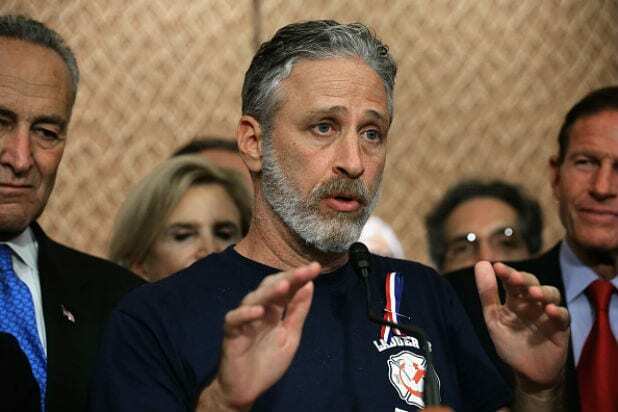 Jon Stewart is set to return to the stage for his first special after 21 years. HBO announced Wednesday at TCA that the former “Daily Show” host will headline a special for the first time since 1996’s “Jon Stewart: Unleavened,” which also aired on the network. The filming time and location will be announced at a later date. Stewart has also signed on to host “Night of Too Many Stars” to benefit autism. That event will air live from Madison Square Garden in New York City on Saturday, Nov. 18. The event was created by comedian Robert Smigel to support the non-profit organization Next for Autism, which raises money to support autism schools, programs and services. Stewart is also ready to get back to his roots. The comedian was the host of Comedy Central’s “The Daily Show” from 1999 to 2015, commenting on current events and helping to bring the show into the middle of the political conversation. He’s performed stand-up in between those years, but never in a special TV broadcast. Stewart was previously working with HBO on a digital animated project that would have satirized cable news, but that’s been scrapped.